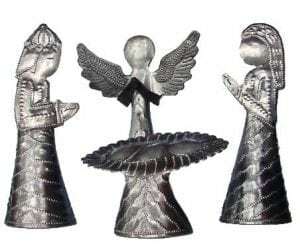 11 glorious metal sculptures makes a perfect nativity scene. 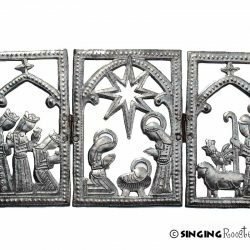 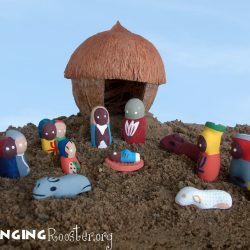 This Christmas decoration tells the birth of Christ in exquisite detail: the Holy Family, Three Kings, shepherds, and stable animals. 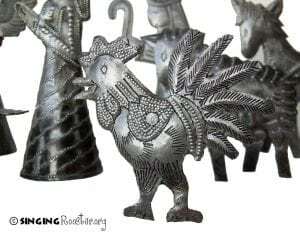 Includes a ROOSTER — an animal often depicted in nativity scenes (foretelling the betrayal of Christ). 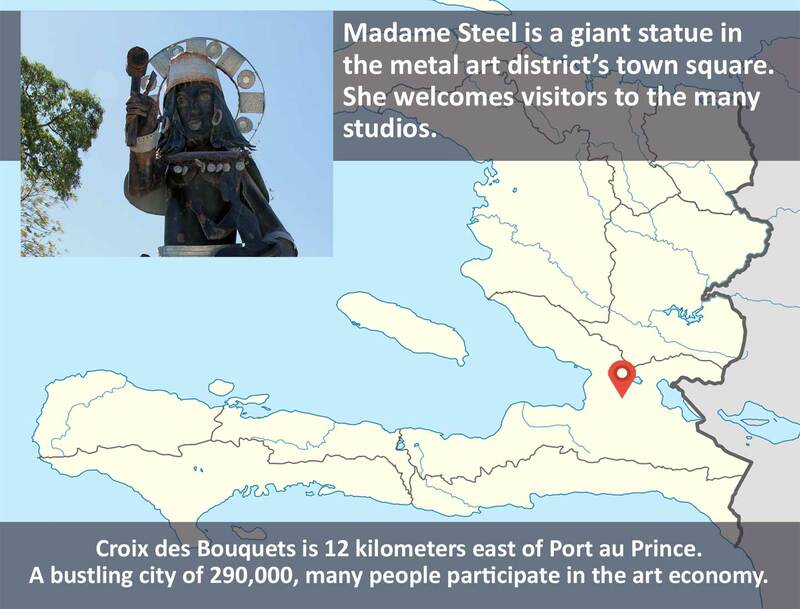 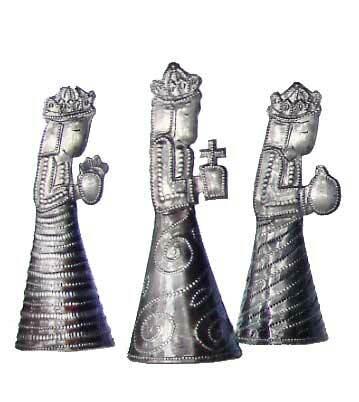 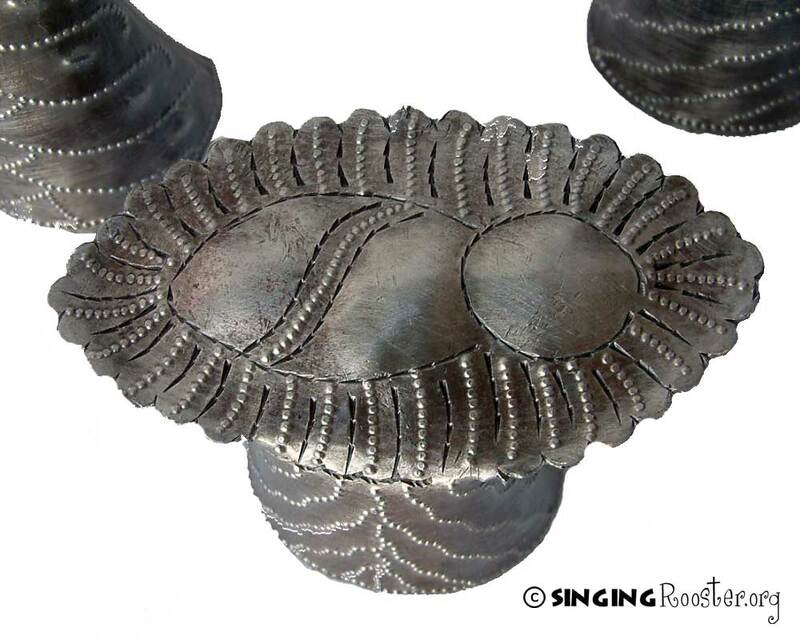 Hand-made from recycled steel in Croix des Bouquets, Haiti. 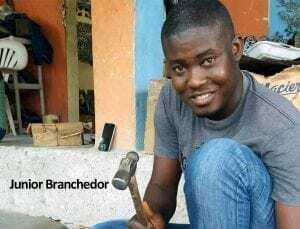 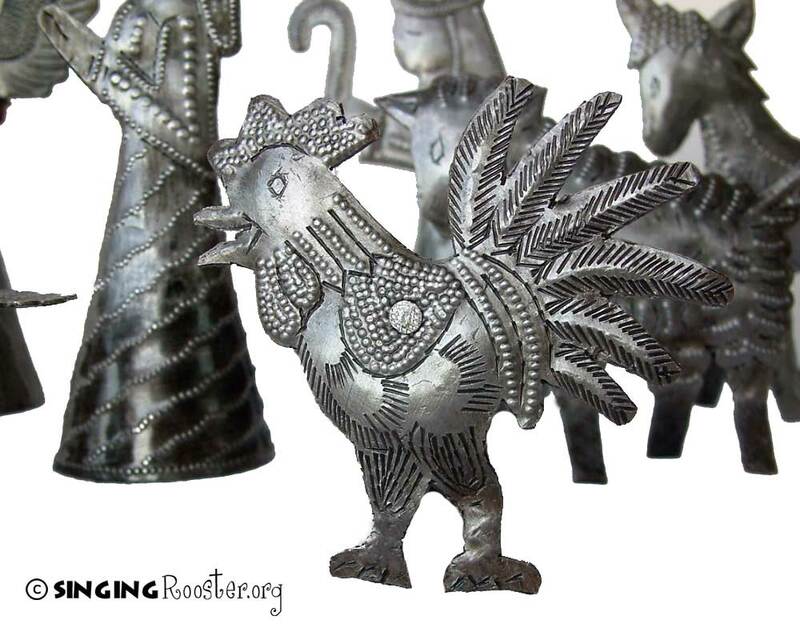 Your purchase provides income for the artist Junior Branchedor and helps support Singing Rooster’s work in Haiti.